A wide range of crafts is available in shops; alternatively, visitors can buy directly from villagers. 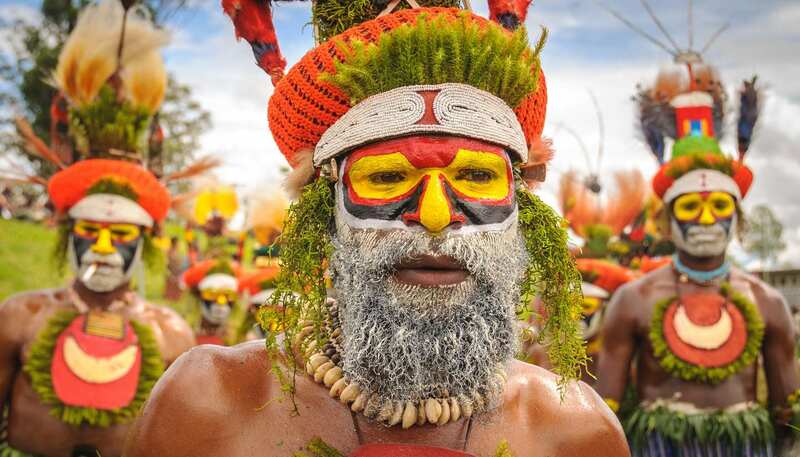 Favourite buys include local carvings of ceremonial masks and statuettes from Angoram and the Sepik, Buka basketry, arrows, bows and decorated axes, crocodile carvings from the Trobriands, pottery and local art. Mon-Fri 0900-1700, Sat 0900-1300 (some open longer and/or Sunday). Several hotels in Port Moresby have dancing in the evenings and some organise live entertainment. The Arts Theatre stages regular performances. The local newspaper advertises programmes. Sing-sings, tribal events on a smaller scale than the biannual festival, are sometimes held.